Extreme Boy’s Ext Volt 20/11 R B Bike is a boy’s MTB bike with a fantastic design that suits mountain and smooth riding. 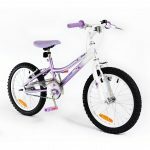 This bike is a super strong one equipped with durable steel frame that certifies safety and comfort for your youngster. With this kind of body build the cycle is rugged and durable for all riding activities. Little champions like your fearless and tough son will instantly get attached to this bike the very first time he sees it. Without any iota of doubt, I believe your little adorable son will fall in love with this bike. 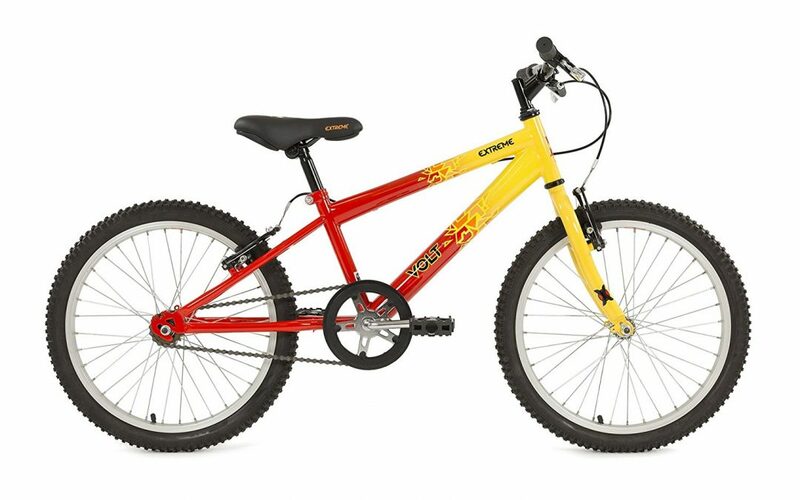 The Extreme Boy’s Ext Volt 20/11 R B Bike is a young boy’s MTB bike, with hi-tensile steel frame. This blend makes the bicycle fabulously strong and great to navigate on all types of roads, be it smooth or rough. 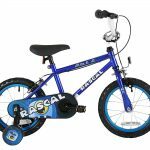 Protection, ease and durability are sure within this biking exploration for your little dare devil. It features aluminium v-brakes, with resin brake levers and aluminium rims all in place to ensure a firm grip, and safe halting while cycling. This bike comes with handlebars, which guarantees that your little lad’s hands holds securely to the handle. The security and overall protection of your little charming son is important as he is set for more exploratory cycling. The featured aluminium v-brakes enforces harmless stop to motion while the little boy is riding. The bike has durable mountain bike tyres that levels up hilly grounds. Since, this series was invented for young lads; it has got special protective pads on the handlebars to protect the hands of your small son. There are other features like grips, seat post and saddle which were all designed with the intent of giving lots of fun and protection. This volt does not have gears because the little cycler would need to focus his attention on riding properly on the road. Extreme Boy’s Ext Volt 20/11 R B Bike can be lifted with no trouble because of its 10kg lightweight. Every little boy can lift it to the playground or road effortlessly. It is never a good idea to get a bicycle that is so heavy for a little child. There are freewheels with rims that helps each wheel sustain a firm grip on the ground. After acquisition, you will need to fit together the saddle with the seat post. The pedals, handlebars, stem, wheels, and brake cable will need to be assembled following the easy instructions contained in the manual. Go ahead to inflate the packaged tyres and attach them as well. Reading through and following the instruction-set given makes it a problem-free assembling process. The Extreme Boy’s Ext Volt 20/11 R B Bike is by far a noteworthy bike which provides safety, comfort and lots of explorations. This bicycle was designed to fit all young boys – since it has adjustment features to fit all youngsters no matter their height. The entire structure and feature were carefully produced without any error. Every part go into another excellently providing a compact and durable bike. After buying and receiving the package, you are able to unpack the package and readily fit the bike together with great ease. Most people commend the ease with which this bicycle is assembled after purchase. The brand has a beautiful two tone colour finish, which are red and yellow. Because of the tough and strong steel frame of the Extreme Boy’s Ext Volt 20/11 R B Bike durability is ascertained. The roughness of your son’s cycling will not be burdensome to you; because you are sure he is riding on a trustworthy brand. This bike has good balance, keeping the little cycler stable on rough roads. The extreme bike promises to give an extraordinary, fun-filled adventurous ride to your brave little boy. Yes, the extreme boys’ bike features very safe freewheeling system. The pedals are free, ensuring your little son’s protection. Your young cyclist’s feet can get to the wheels with ease and securely move the pedals without danger. This Extreme Boy’s bike weighs a maximum of 10kg, so it is a lightweight cycle. Your son can lift it with ease from your home to the road. He will certainly lift it back into the house all by himself with little effort. You May like to read our article on the factors to consider when buying a children’s bike. It has very strong hi-tensile steel frame that is strong and long-lasting. This extreme bike offers great excitement and exploration to every little boy out there. This MTB boy’s bike is specially fitted with mountain tyres and brake levers that can ruggedly ride through mountainous rough roads, and smooth terrains. Gone are the days you worry about the safety of the road, the bike and your child – Extreme has got your son covered. You will have delivered to your doorpost, real fine quality for your money. There is great sport, exercise and excitement awaiting your precious little boy – help him grab it.